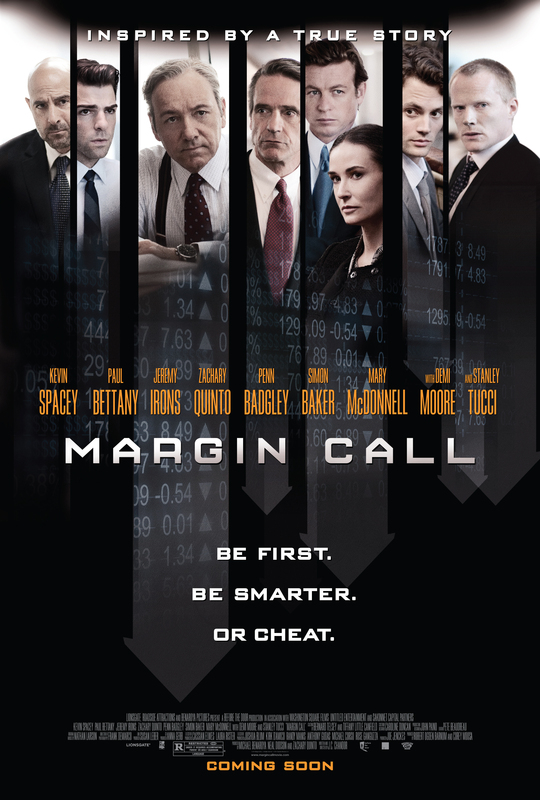 Modeled after the 2008 economic meltdown, Margin Call is a fictional account of a large investment bank realizing that by morning their company will have failed several times over. This independent film features many major talents portraying characters who represent those who are responsible for our country’s economic collapse, yet never saw it coming. A large investment bank has laid off a large portion of its staff, including a high-level risk management employee, Eric Dale (Stanley Tucci). Dale hands off a USB flash drive to his protege, Peter Sullivan (Zachary Quinto), asking him to finish the work and warning him to be careful with the data. Peter indeed finishes the data, calling over his co-worker Seth Bregman (Penn Badgley) and his superior Will Emerson (Paul Bettany) to glance over what appears to be a model of the financial collapse that has already begun to take place. This event creates an overnight crisis for the company, requiring trading floor manager Sam Rogers (Kevin Spacey), Chief risk manager Sarah Robertson (Demi Moore), and CEO John Tuld (Jeremy Irons) to consider all possible scenarios before sunrise. Margin Call is a financial thriller that fictionalizes the moment the bubble burst on mortgage backed securities, creating the financial meltdown that would cause the worldwide recession. Despite the massive layoffs, there is little humanity in the characters, and they barely aw knowledge main street sentiments. How could someone who stares at a bright screen all day sympathize with those who live paycheck to paycheck? These men deal with numbers not hearts. Sam barely winced after the quick massive lay off that occurs at the film’s opening and only shows compassion during the moments his dog falls ill with cancer. These suits know that this crisis is, by all historical accounts, a cyclical crisis that appears every generation. Yet, they fail to understand that, while cyclical by the numbers, it still hits the public hard. When John Q Public’s retirement account takes a massive beating and is laid off, history means nothing when retirement is around the corner. There is no other way to say it, Margin Call caters only to the choir. Only those who are truly aware of the issue and willing to watch the house of cards fall are going to watch this film, and even fewer are going to truly understand what is going on. The film dumbs down a majority of the issues and attempts to place a human value on many of these greedy characters, even when there is one. The film fails to drive home the contrasting issues at hand, and even the gross lack of accountability and hypocrisy that is rampant in the film. Where Too Big To Fail explored the key real-life players in the accountable investment banks and the government, Margin Call uses fictional characters and twenty-four hour timeline in order to explain what had happened, and sum it up in two hours. The American film industry is still weak in its portrayals of the financial crisis, and has barely attempted producing films that portray the suffering at the main street level, even when Occupy Wall Street is begging to be heard. F. Scott Fitzgerald once said of those studio heads who ran Hollywood were the only men who truly understood how the industry worked during the studio system from top to bottom. For the 2008 financial meltdown, only a few men truly understood all the key elements and their eventual effects on the financial market. What is worse, those who knew about the impending doom did nothing about it. The title of the film refers to the domino effect that will effectively damage an entire class of financial markets, in this case, mortgage back securities. 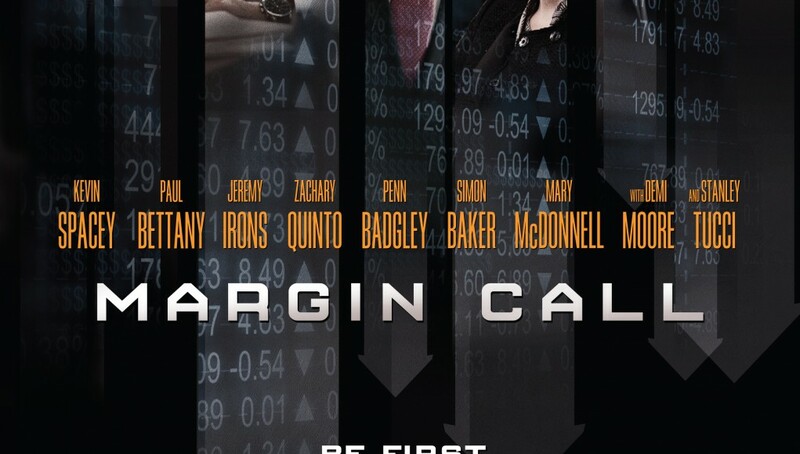 Margin Call explores what we all knew, but finally shoves it in our face. The 1% will recover and be bailed out. But it is everyone else, even those who assisted in damage control, that are essentially thrown under the bus. As Inside Job stated, there has yet to be anyone who has been indicted or charged with the accountability of this economic collapse.